By Michael Ryan, HDR Inc.
On October 12, over a dozen volunteers convened on a beautiful Fall day to clean up Highway 100 in Robbinsdale. 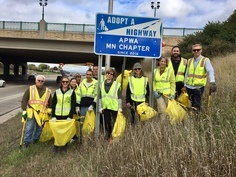 The Adopt-A-Highway event, organized by APWA-MN’s Environment & Sustainability Committee, was the third of its kind since the highway was adopted in 2016. 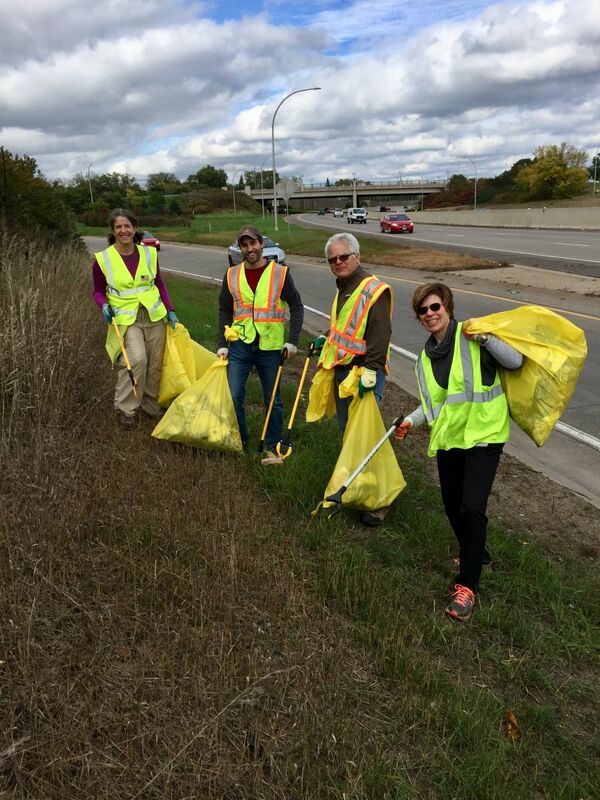 Thanks to all of the volunteers, and with the support of MnDOT’s Truck Station in Golden Valley, over 40 bags of trash were collected alongside the highway. The group effectively kept hundreds of pounds of waste away from our roads and waters. On behalf of the Environment & Sustainability Committee, thanks again to all participants and organizers for being part of a fun event and supporting environmental stewardship. We look forward to another successful clean-up event next Spring!